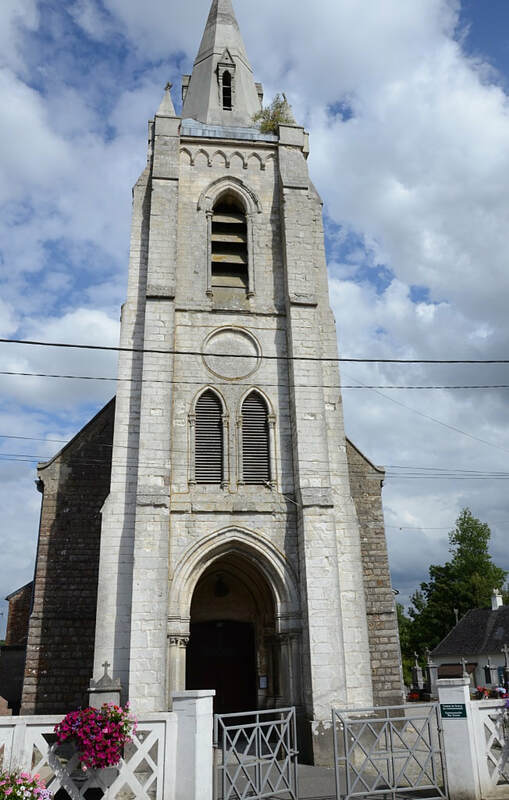 Bourthes is a village and commune about 27 kilometres south-east of Boulogne. 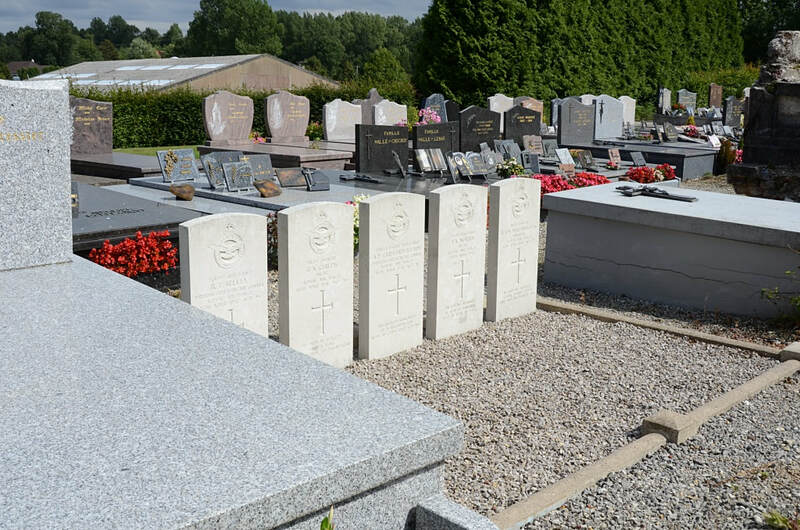 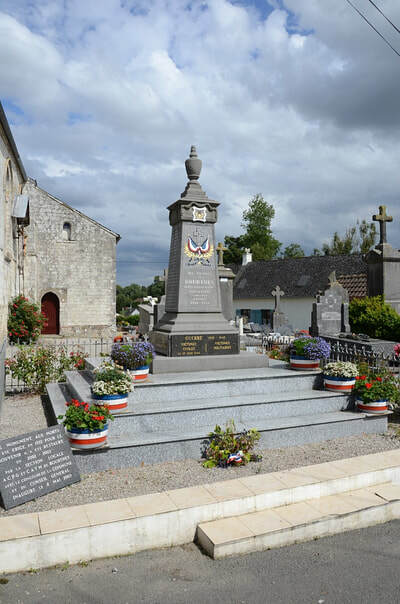 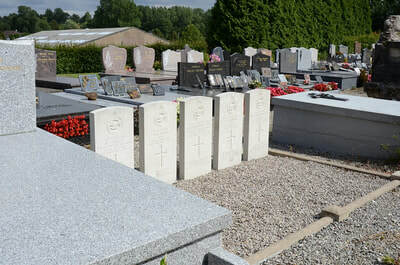 Bourthes Churchyard contains one Commonwealth burial of the First World War and the graves of five airmen of the Second World War. 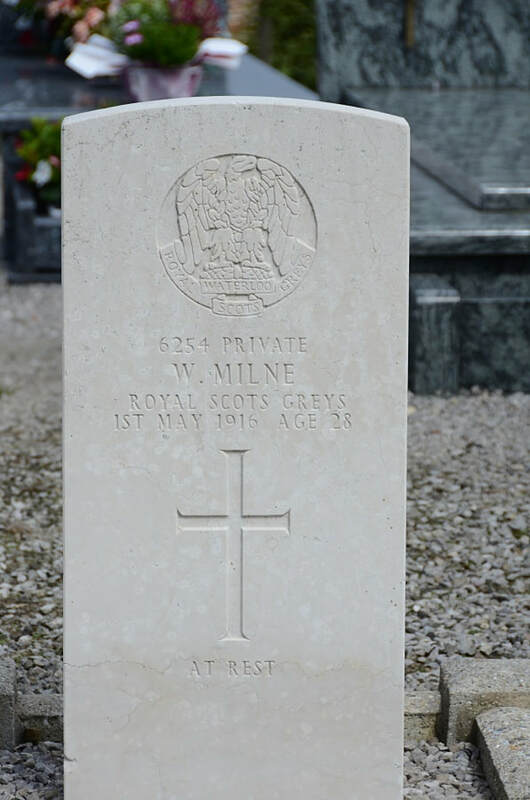 6254 Private W. Milne, 2nd Dragoons (Royal Scots Greys), died 1st May 1916, aged 28. Husband of Lilian Woollass (formerly Milne), of 3, Roberts Terrace, Marmaduke St., Hessle Rd., Hull. 60069 Pilot Officer Brian Austin Childs, Pilot in 102 Squadron, Royal Air Force, Volunteer Reserve, died 15th April 1941, aged 26. 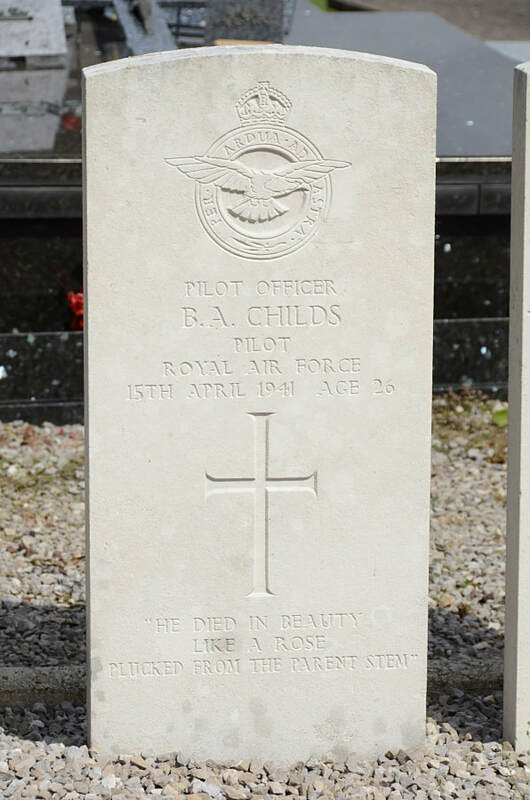 Son of Alfred P. J. Childs and Anne Margaret E. Childs, of Herne Bay, Kent. 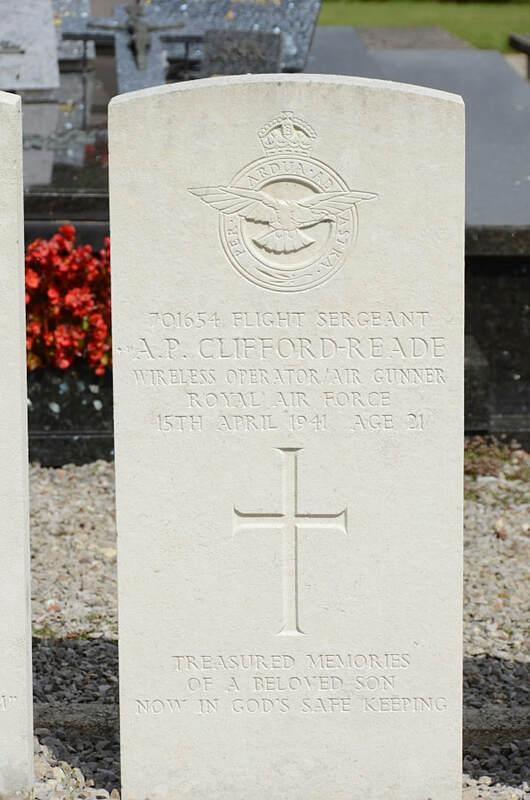 701654 Flight Sergeant Alfred Pearsall Clifford Reade, Wireless Operator/Air Gunner in 102 Squadron, Royal Air Force, Volunteer Reserve, died 15th April 1941, aged 2​1. 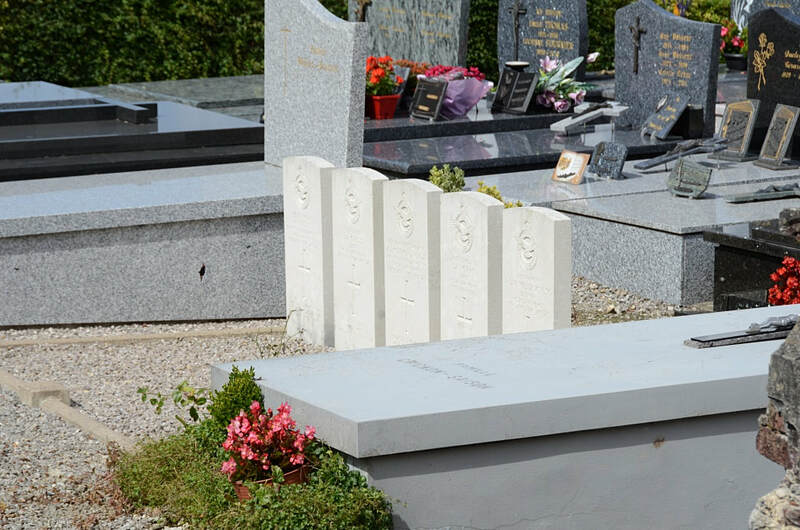 Son of Alfred and Isobel Margaret Clifford-Reade, of Brighton, Sussex. 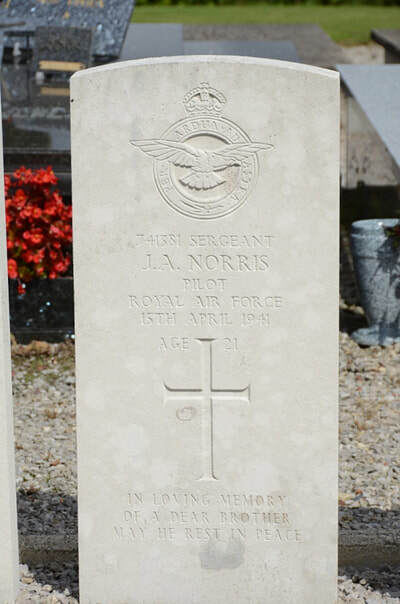 741381 Sergeant James Authur Norris, Pilot in 102 Squadron, Royal Air Force, Volunteer Reserve, died 15th April 1941. 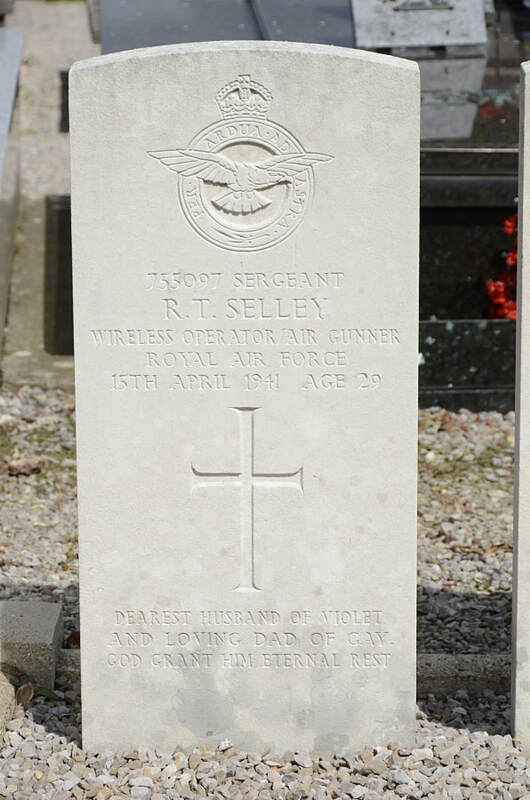 755097 Sergeant Robert Thomas Selley, Wireless Operator/Air Gunner in 102 Squadron, Royal Air Force, Volunteer Reserve, died 15th April 1941, aged 29. 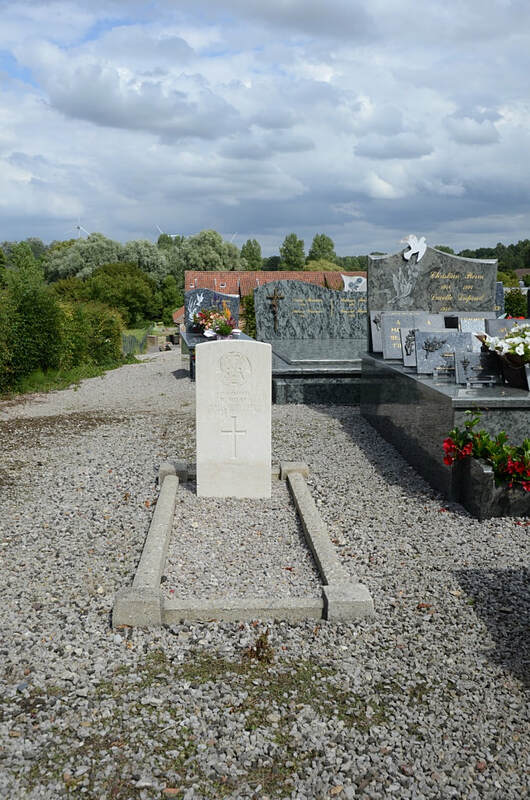 Son of Henry George and Sarah Mary Selley; husband of Violet Winifred Selley, of Heavitree, Exeter. 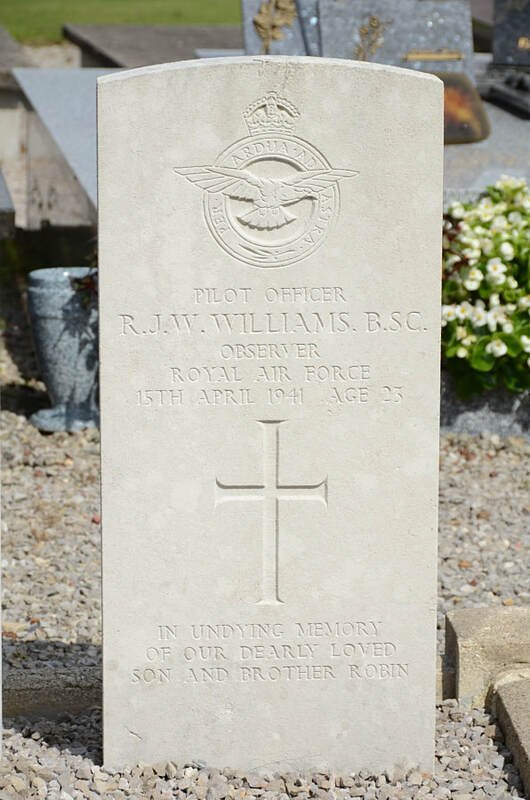 87359 Pilot Officer Robert John Wyndham Williams, Observer in 102 Squadron, Royal Air Force, Volunteer Reserve, died 15th April 1941, aged 2​3. Son of Wyndham Garnet Williams and Isabella Winifred Williams, of Aberdare, Glamorgan. B.Sc. (Lond. ).